Investors don’t take kindly to lowered forecasts, dump Palm stock. Hard. If there’s a lesson to be learned here, it’s don’t mess with the investors. They are sharks, and if they smell blood in the water, look out. Today that’s a lesson Palm learned, revising down their previously upbeat forecasts for the current quarter. The move, along with ongoing worries about Palm’s performance in the marketplace, sent Palm’s shares nose-diving through the floor of the NASDAQ exchange, to the tune of a 19.28% loss, closing the day at $6.53 a share. That loss was the biggest one-day percentage loss since October 2006 when the investment by Elevation Partners resulted in an $8 dividend for stockowners. Today’s loss also sent Palm stock to a point not seen since January of last year, just before the Pre was announced at CES 2009. From a peak of $18.09 in October, Palm stock has lost nearly two-thirds of its value, wiping out $2.9 billion of shareholder value. As of today’s closing, the total outstanding Palm stock plus Elevation Partner’s 1/3 stake (purchase price, ~$7/share) comes to just $1.6 billion. 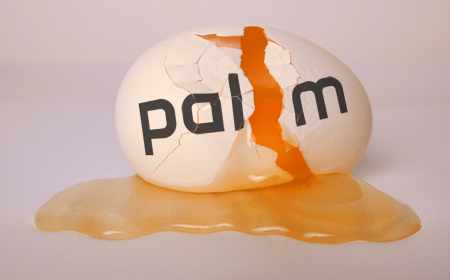 In the past week alone, Palm stock has declined more than 30%. All of this tells us one thing: Palm’s in trouble. They had enough trouble gaining the faith of customers and a handful of stock analysts, and while webOS 1.4 will make plenty of current users happy, we don’t think it’s going to do much to assuage shareholders, analysts, or potential new customers. Sorry for all the doom and gloom lately folks - sometimes that’s just the news.